Want your eyes to stand out and sparkle? Then I have four eye makeup essentials that you need to get today. These are tried and tested favorites and as savvy shoppers know, you can usually find the best prices on Amazon.com and get them delivered straight to you. 1. Eyeshadow– A palette with a minimum of three colors is essential so you have a medium colored shadow that goes over your lid, a darker color to sweep along your lash line and a pale shade to highlight the corners of your eyes. The Natural Eyeshadow Palette by NYX Cosmetics is a total essential with six different colors. 2. Eyeliner– Gel and liquid eyeliners can give your eyes a bit of drama whereas a more subtle look can be obtained with a pencil eyeliner. E.L.F. 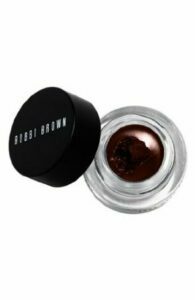 Essential Liquid Eyeliner and Bobbi Brown Long-Wear Gel Eyeliner in Espresso Ink are two of my favorites. If you have fair skin, you may want to choose a chocolate brown color instead of black. 3. Mascara– Just a swipe or two of mascara can make a huge difference in your eyes. You want to choose a mascara that serves several purposes. Revlon PhotoReady 3D Volume Mascara is a great waterproof mascara that has a perfect brush for reducing clumps. This has become my new favorite. I’m getting my second tube. Don’t forget to toss out mascara every few months and start with a new tube. 4. Eyebrow Pencil– Eyebrow pencils, designed to define your brows, are especially helpful for sparse eyebrows. It is essential to find the right shade of color, either your normal shade or a bit lighter, for natural looking eyebrows. The NYX Auto Eyebrow Pencil in Dark Brown features a self-sharpening eyebrow pencil and a built-in brush for grooming and styling your eyebrows. Check out Amazon.com for all your makeup essentials. Do you have any eye makeup favorites to share? These are good suggestions. But Bobbi Brown gel eyeliner is $25 not $45. 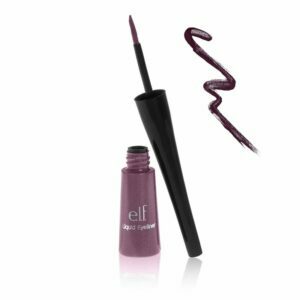 I use this brand of eyeliner and it is very reliable and the best. Thanks for all of your good advice! thanks so much- updating now. I just found it for just under $25!